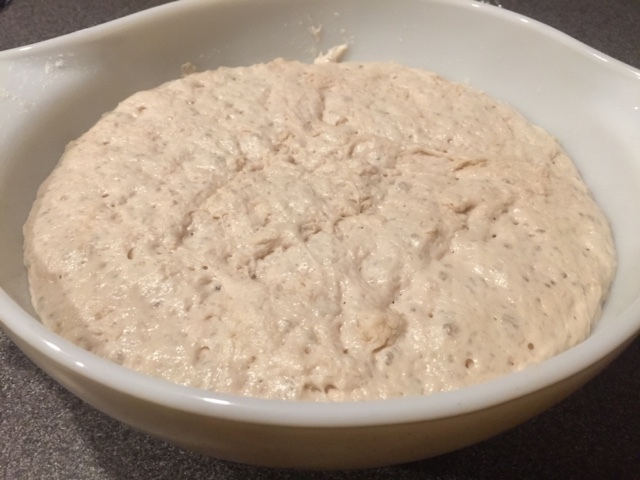 This is seriously the easiest homemade bread recipe!! 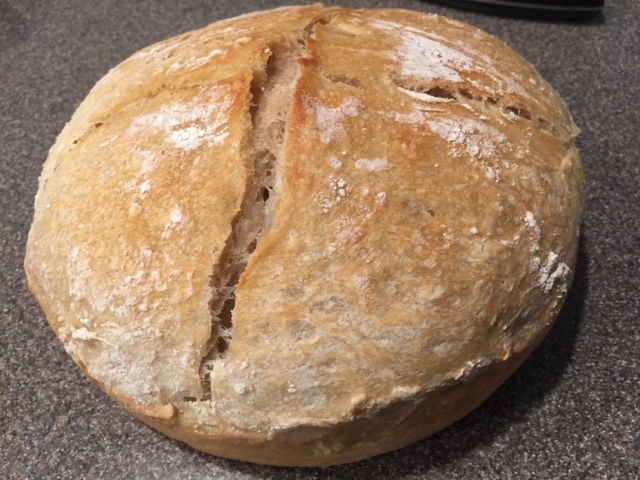 If you have ever wanted to try making bread at home this is your go to recipe! You must try this beautiful golden crispy goodness. Mix it all up, cover and let the magic happen. 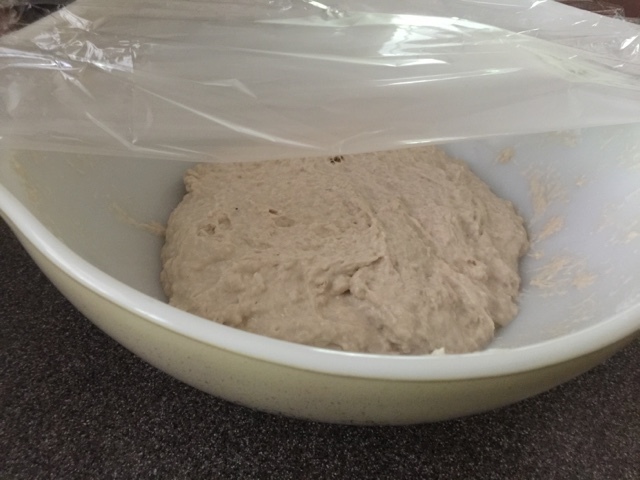 After 6 hours or more or after the dough has risen transfer it to a floured baking sheet and knead a few times. Let it rest for 30 minutes or so. 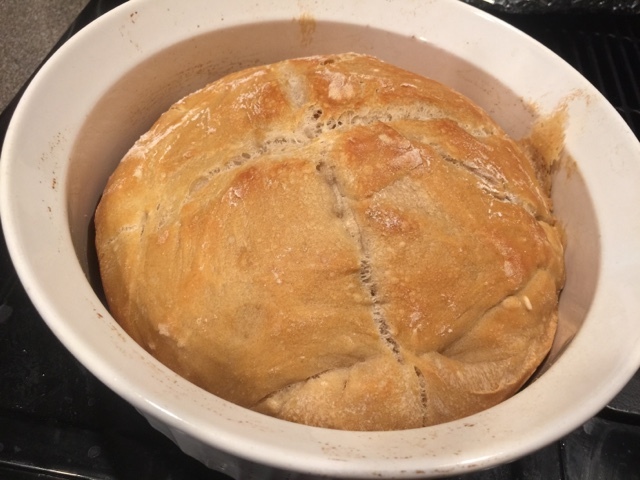 Preheat oven to 425f and warm Dutch oven or oven safe container for the bread to cook in. 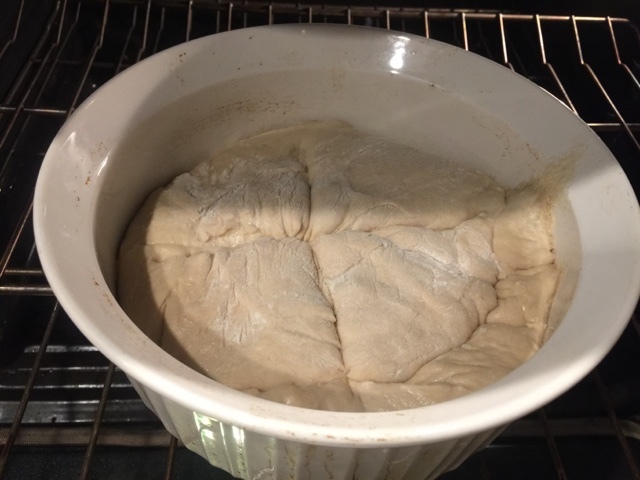 Coat with oil and transfer dough from cookie sheet into warm container. Cut a cross cross on top. Bake for 30 mins covered and 15 mins uncovered. Tada! Now grab some butter or jam or whatever your go to spread is for bread and dig in. Enjoy! !